Gene Black an Alabama Artist and Quilter: UFO - no more! I finally took out the table topper that has been in my UFO list for some time and layered and quilted it. Not only that, I even got it bound - all in one day. Actually it was half a day. In the morning I met with a lady from church and helped make fleece blankets for children who come through the "Room in the Inn" program. Room In the Inn is a program that provides safe places to sleep in the winter when sleeping outside can be deadly. Most of the children who come through have very little in worldly possessions. So, the goal is for each of them that comes through to get a soft blanket of their very own in bright happy colors. I am thrilled to be helping with this. You will probably see some of these later. Here it is all quilted, bound and ready to use. I actually had a lot of fun quilting this piece. 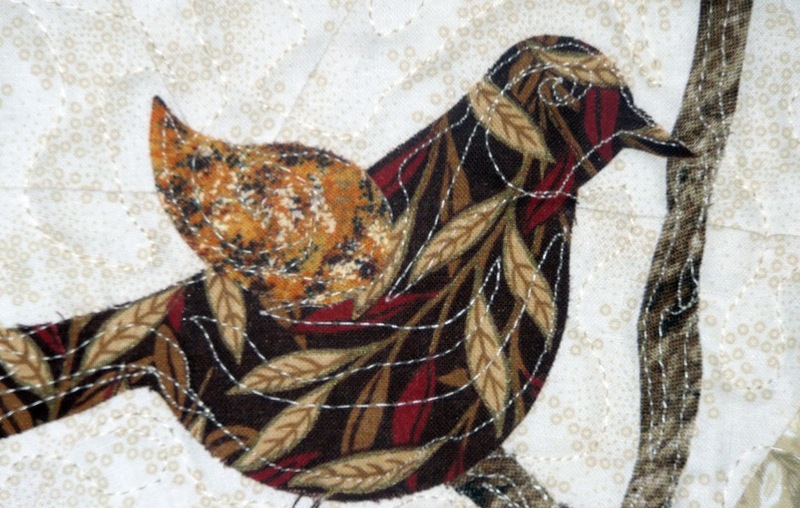 I played with the quilting in the bird appliques to add eyes and texture. I would say that the day was a delightful success! Beautiful, Gene - love the added eye details. So sweet to help those cold children. I love the "Room in the Inn" program your church has going. Are other contributions needed? With these crazy winters lately, I'm thinking you may have more folks in need coming to the church. Very nice. Love the birds. A perfect day -- creative, caring for others, and ending with a harbinger of spring birds. Well done! The finish is beautiful. 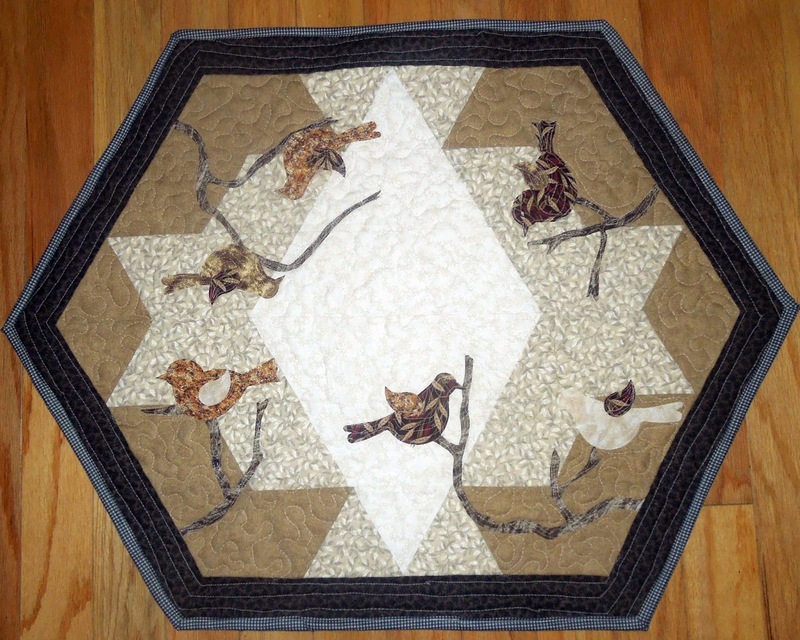 The quilting you did on the bords really does add life to them.